A third of what we eat is pollinated by bees – in fact more or less by one bee species: the western honeybee. A loyal companion in the production of our crops for centuries, this little insect seems to have been overburdened. Around the world bee populations have suffered dramatic losses over the last decades. The reasons for these mysterious bee die-offs are unclear, but experts agree that the varroa mite is among the prime suspects. These parasitic insects specialise in sucking the blood of bees and bee larvae, destroying bee hives wherever they appear. The question is: who will pollinate our crops in the future? Researchers follow two ways to find an answer to this question. One way out of the pollination crisis could be by beating the deadly varroa mite. ‘Killer bees’, a result of inbreeding between European honeybees and African bees, have developed a formidable defense against the mites. So maybe killer bees are our best chance against bee extinction – except they are also very dangerous to men and other bees alike. Can the killer bees be tamed? But there also exists a rich and diverse variety of native bees around the world, most of which have been ignored until today. Thousands of solitary and wild bee species that are hardly known to science may become our future pollinators. However, some of them pollinate only one specific plant – for instance, squash bees live in almost poetic symbiosis with the squash plant only. But others could take over: with their special ‘buzz pollination technique’ bumblebees pollinate flowers that are too narrow for any type of bee to crawl into them. They even take care of sunflowers, even though the bumblebee’s offspring’s health doesn’t agree with them at all. The time has come to look closely at all the bees out there and understand the biology of each species. ‘Secrets of the Hive’ joins researchers on three continents and discovers the beauty of an unknown universe of insect life. 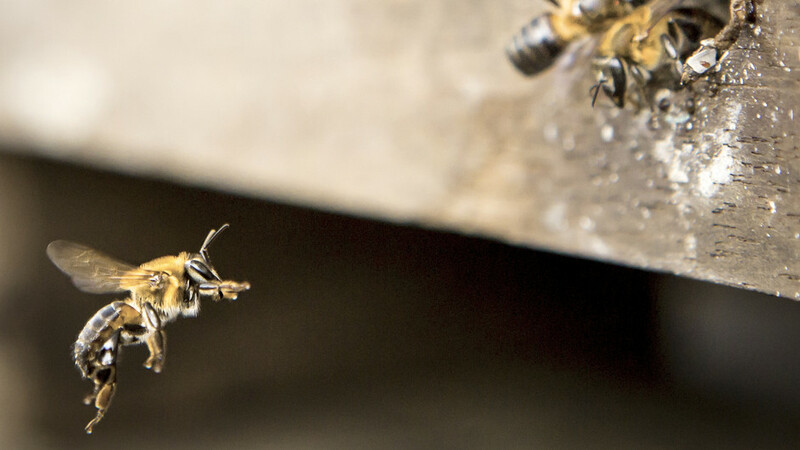 We dive deep into this bee dilemma and present various research approaches and possible solutions. Matsalu Nature Film Festival 2015 (Lihula, Estonia): Best Photography Award in Category "Man and Nature"